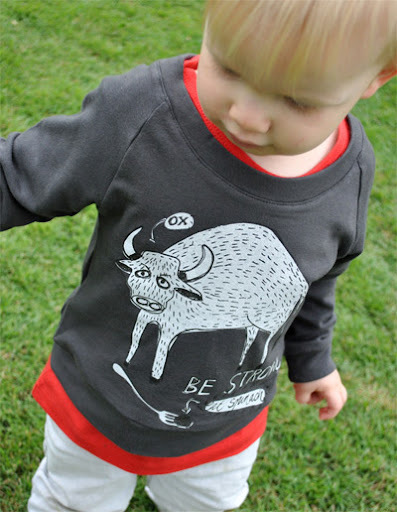 Do you remember Red Chalk, the lovely Australian kids clothing label that I wrote about back in 2008? Well after a brief hiatus, Kate Perry is back designing and the offerings are even cooler. I'm so excited to welcome Kate back - she is truly one of my favourite Australian children's clothes designers. You won't find pink or purple here - just great bold, colours, cool unisex illustrations and fantastic quality material. 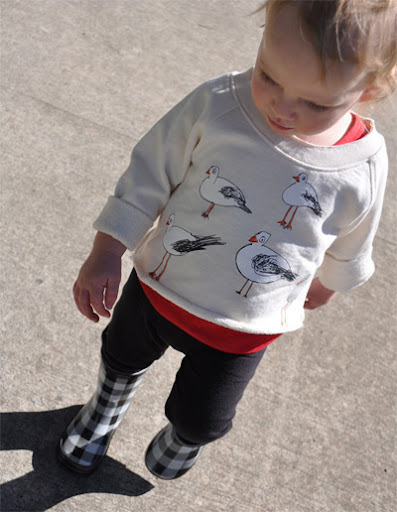 Kate has been illustrating up a storm in her Woodend, QLD studio with a whole new selection of designs. 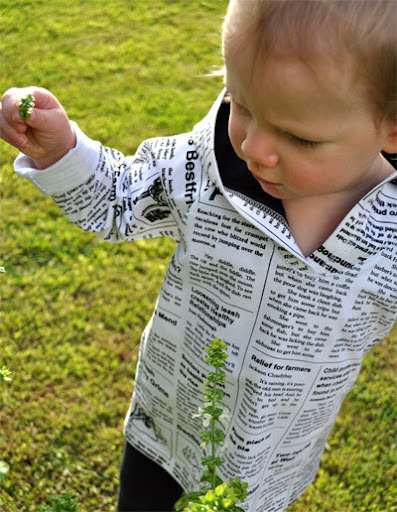 A fantastic feature of the Red Chalk label is longevity; the fabric quality is selected for hard wear and the cut of the clothes is designed for kids to grow into. Red Chalk clothes are importantly made in 100% in Australia - you'll notice the difference in quality. 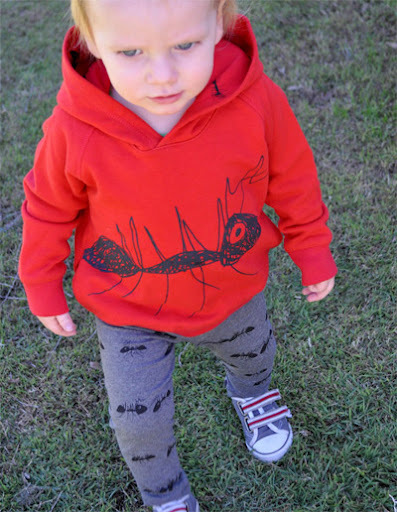 The Red Chalk range is sized for babies, boys and girls 0-12 years. 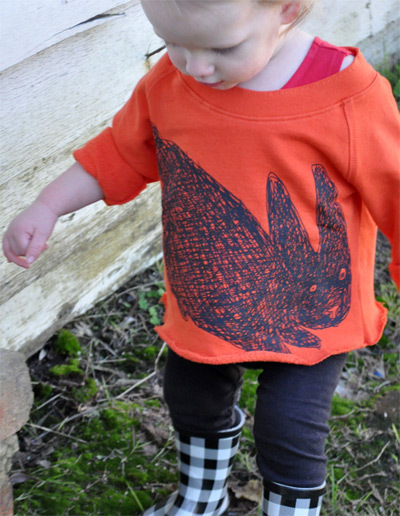 You can find Red Chalk clothes and accessories for kids in the online store. You'll also find on the site homewares (with more to come) and a link to Kate's clothes for Mum. (oh, and did I mention that Red Chalk supports the RSPCA?) Love it all. 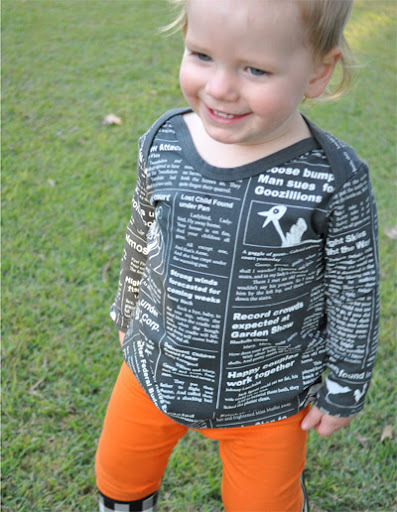 For more Australian-designed fashion for children, head over to Bondville Kids. 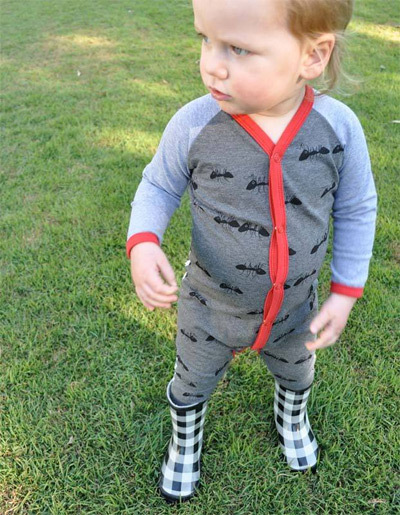 Love that any onesie. And love the graphics on their website too. Thanks for sharing Steph. I’ve just started my own site and just searching for my own style. You have created very nice site and it is easy to serf in it. As well you offer interesting and useful information and solutions.